Golkar Party Chairman, Airlangga Hartarto, admitted his party’s focus was to increase the legislative seat of the Papua Province. Not only that, he also targets the victory of the presidential candidate Joko Widodo in West Papua. “The Papua Province is very likely to add (add seats), since the Golkar barn and Mr.Jokowi’s voice have been high in West Papua. Jokowi is important for West Papua, West Papua is important for Jokowi, “he said in Papua on Friday (02/08/2019). 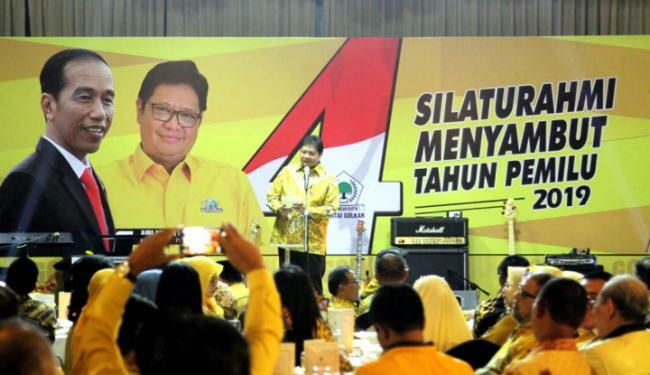 He continued, he was optimistic that Golkar was able to become the second winner in the 2019 legislative election. However, he said this on the record, all party functionaries went down to meet with the community directly. “I hope the central legislative candidates can consolidate at new potential points, data from the results of the survey release that say political parties that have not been fortunate to qualify for senayan,” he said.